This is the view from my kitchen table. Once a month, starting when I notice new growth, I water my roses with 2 TBSP. 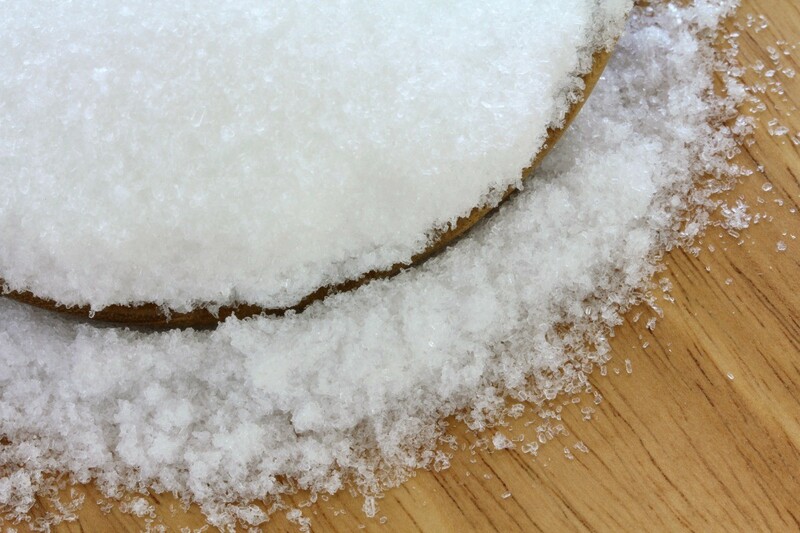 Epsom Salts to 3 gallons of water. Aren't they beautiful? I've heard that Epsom salts are good for roses. How much of it should I use and how often? Do you have any other suggestions for care of roses? When planting, older varieties tend to be hardier, so do potted vs. bare-root roses. 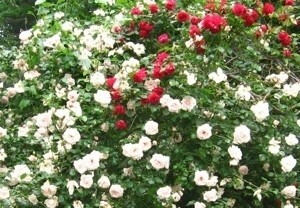 Roses should be planted in the late spring and early summer to give roots time to develop before winter. Plant roses in rich, well-drained soil with a pH between 5.5 to 7. Planting holes need to be at least 2 1/2 times the size of the root ball. Give roses a good, deep soaking (4-5 gallons) once per week. Feed roses lightly (but often) from spring until 6-8 weeks before your first frost. Keep canes healthy by following a regular pruning and maintenance schedule according to the rose type (bush, tree, climbing). I live in zone 8. I put 1 tablespoon of epsom salts,1 tablespoon of fish emollient and 1 tablespoon of miracle grow mixed in 1 gallon of water on my roses. I put this on every two weeks. I have found bananna peel works better than epson salts. Just dig a small hole next to each stem, does not neet to be deep, and add half of a bananna peel, and cover. You will see more blooms, and healthy roses. Thank you for the feeding tip using Epsom salts, fish emollient and Miracle Grow. I shall try this very soon on my roses. Anyone else that has any other tips for care of roses, it would be greatly appreciated. I put Epsom salts in the water with the plant food, along with some fish emollient and some superthrive and some maxicrop during the summer to water all my outdoor plants. I also use a little Cal-Mag to all by Brugs. I use banana peels and they make the roses go crazy! Just bury them near the plant. I already know about the banana peels for roses. My family thought I was crazy for planting them under my rose bushes. Thanks for the tip anyhow though. It really is appreciated. Anything for black spot? This is what I do according to directions I got from an old farmer. 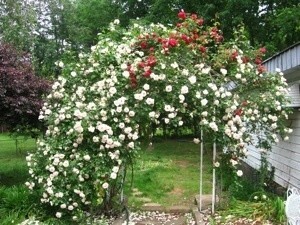 I sprinkle epsom salts all around the rose bush, once each spring and once each fall. I do not water it. I just let the rain wash it in when it comes. I do not measure it. I just sprinkle till white all around the bush. My roses bloom and bloom. I put 2 liter bottles with holes in them in the holes with the rose bushes. When I water the roses i fill up the bottles and put the top back on them....they drain slowly and right at the roots. Helps the bushes roots grow better, and keeps the water from drying to quickly during drought times.